Chip maker Marvell has introduced a new quad-radio wireless combo chip for mobile devices that includes support for NFC, Bluetooth 4.1, 1×1 802.11ac WiFi and FM radio. The Avastar 88W8887 is designed to provide “a high-performance, low-power, cost efficient solution for new generations of mobile applications,” Marvell says. “With Bluetooth Smart Ready support with latest Bluetooth 4.1 specification, the 88W8887 enables the new ecosystem of low energy Bluetooth Smart devices which can be tethered to the smartphones, and other consumer devices for new and emerging applications,” the company explains. 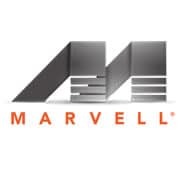 The Marvell Avastar 88W8887 slots into the company’s product line-up just below the existing 88W8897 — a combo chip with 2×2 Wifi for high end and large form factor devices — and will be available for sampling in late Q1 2014.